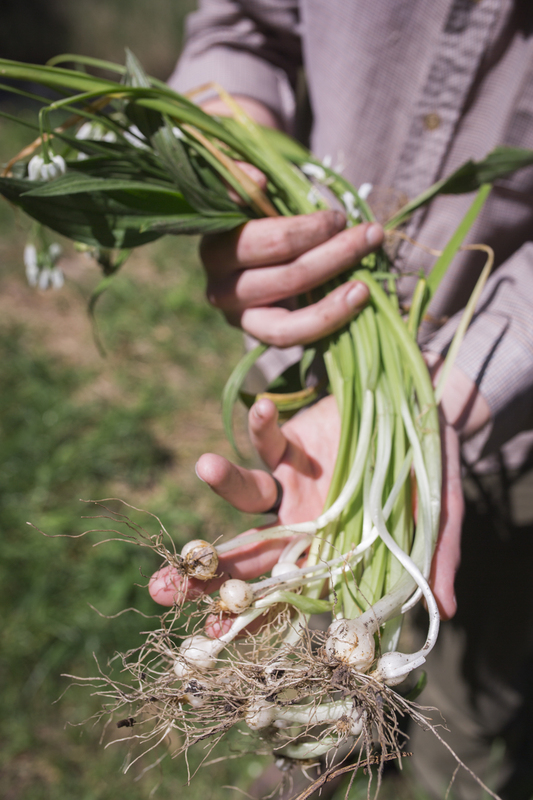 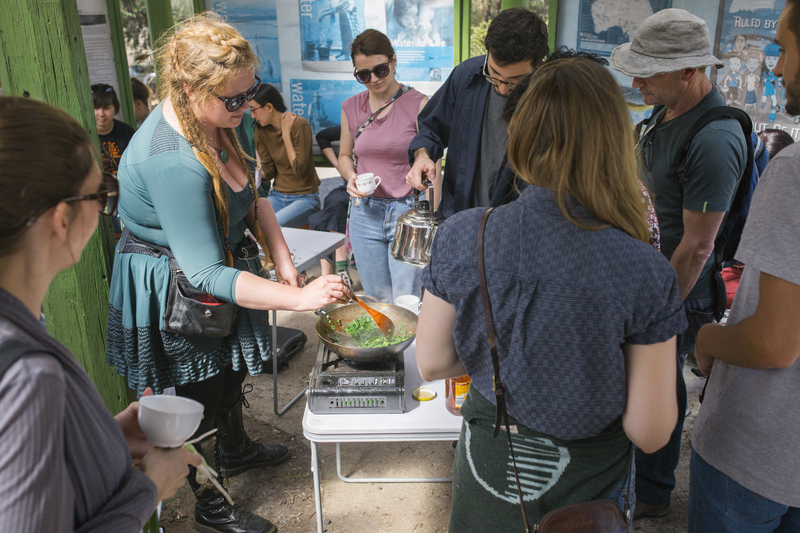 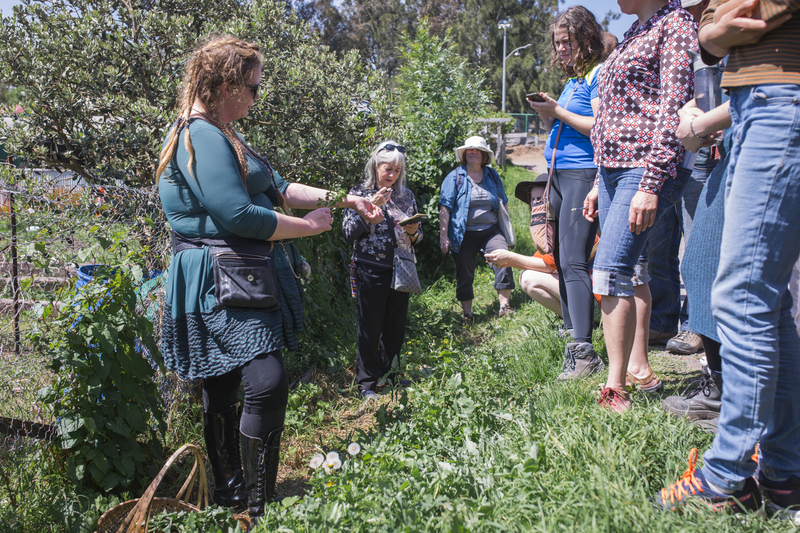 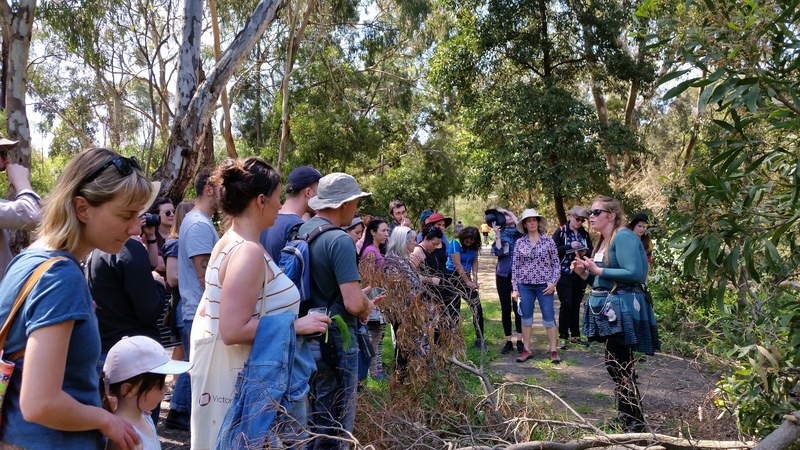 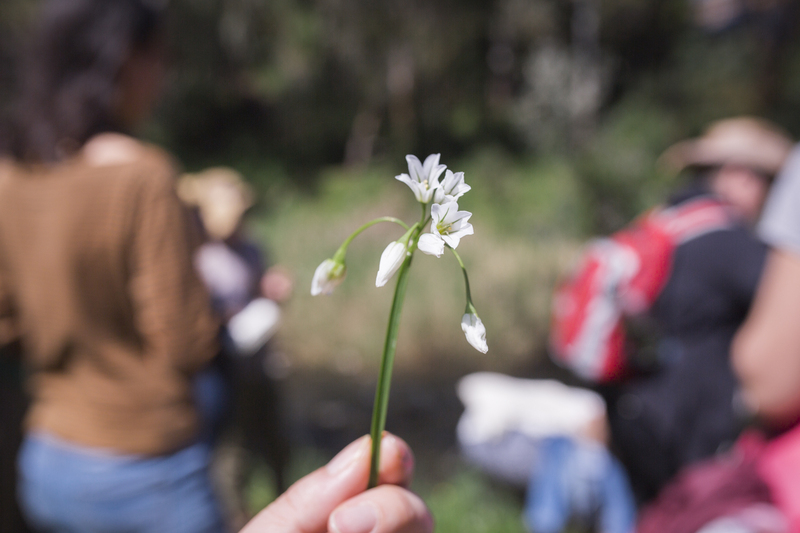 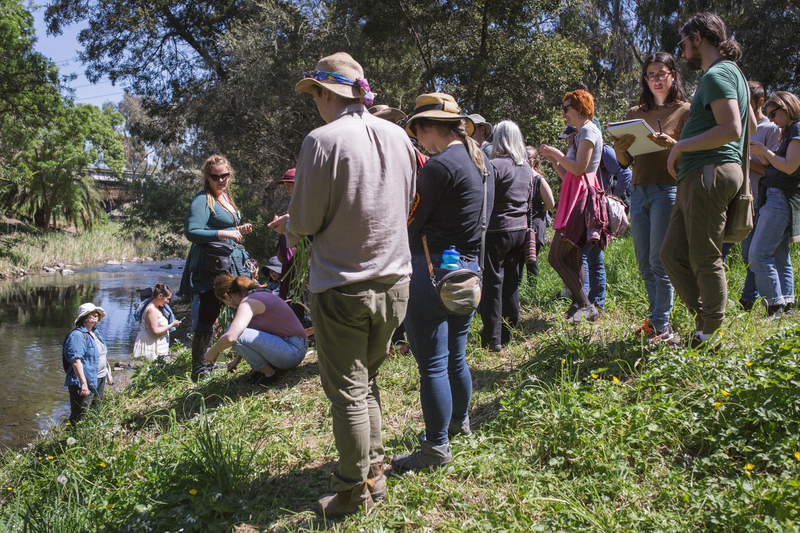 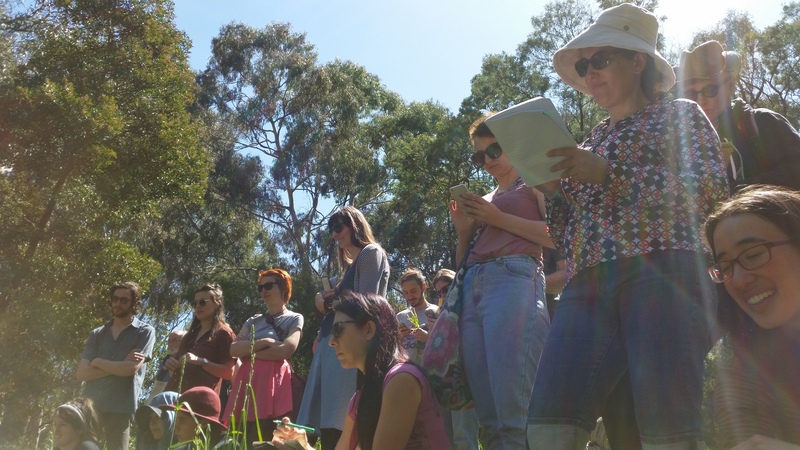 October saw guild members and folk from other walks of life join Free Food Forager‘s Ingrid Button for two very popular sessions (one on the 15th and another on the 22nd) for a meander down to the Merri Creek to forage for food. 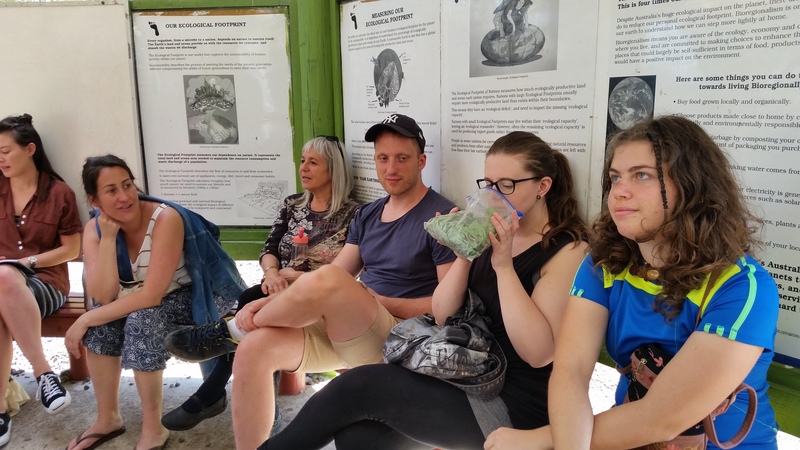 We learnt about the culinary and medicinal properties of herbs and other plants that we’d otherwise just walk on by, including warrigal greens as a spinach equivalent to wild fennel for tea. 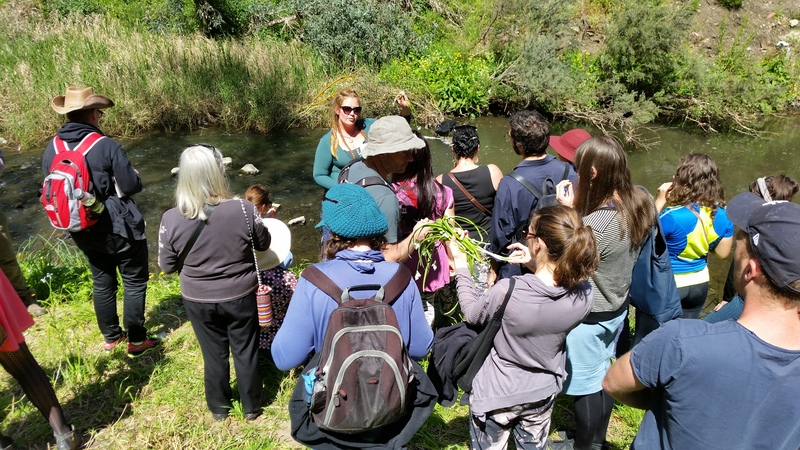 Ingrid demonstrated the perils of brushing skin against nettle, quickly followed by various herbal antidotes to take the sting out – including dock leaf and plantain. 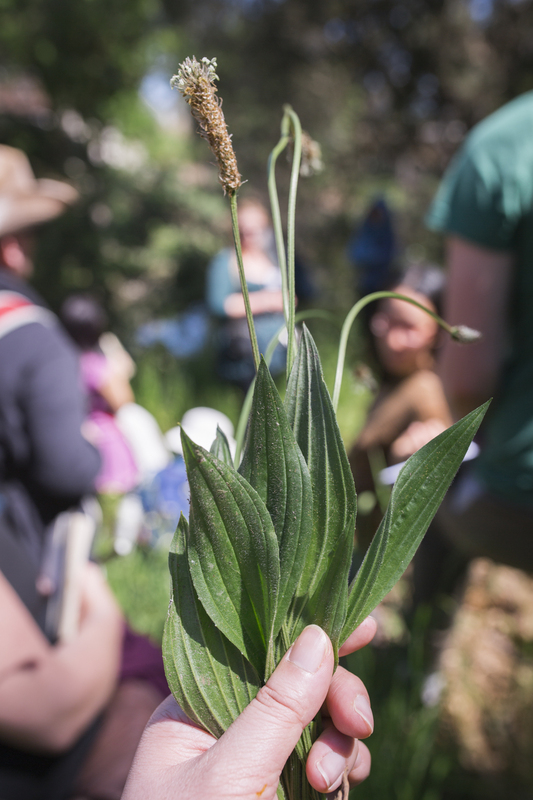 We discovered that cleavers (or sticky weed) could make a great poultice or pressure bandage when you have nothing else at hand out in the bush. 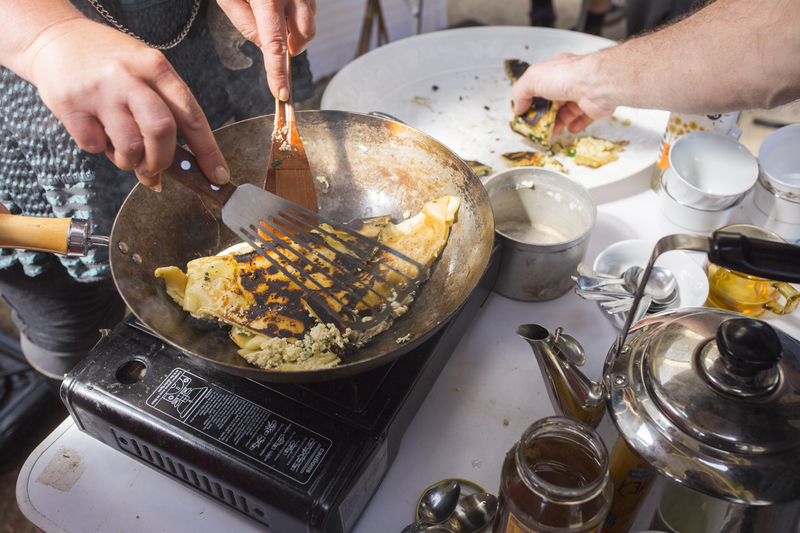 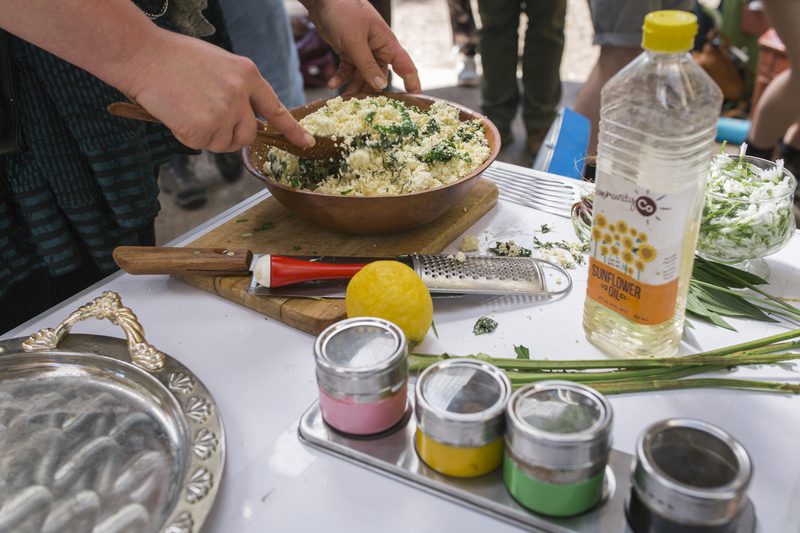 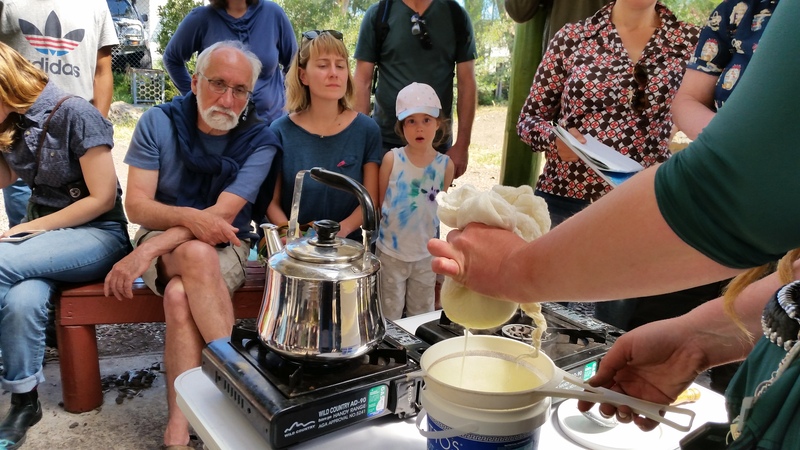 After gathering various edible weeds – notably three cornered leeks – we headed off to a cooking demonstration, learning how to make ricotta cheese in only 5 minutes (!!) 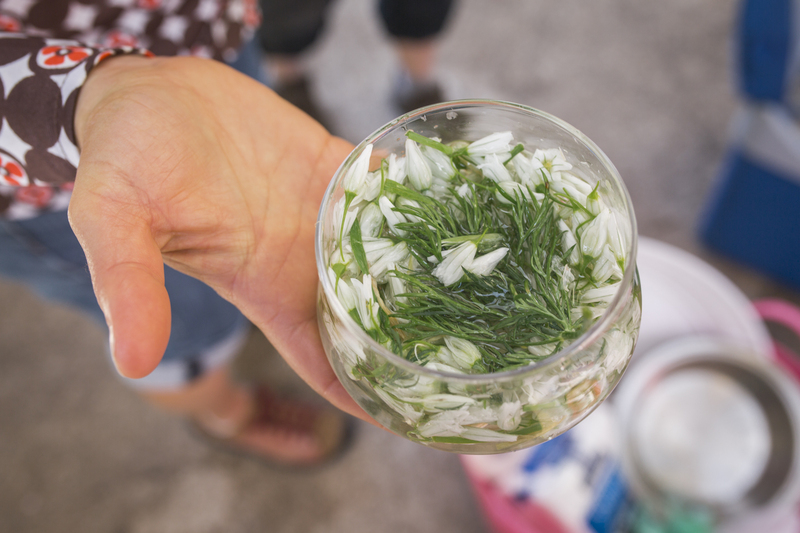 which was added to some wild greens and cooked up with pastry into gozlemes, which was accompanied by a three-cornered leek pickle which was both pretty and delectable! 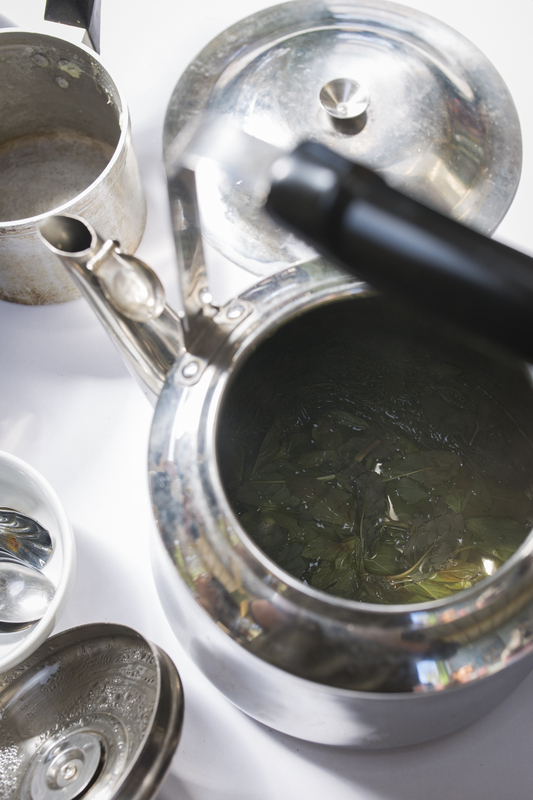 These were served with a tea made from foraged herbs and honey. 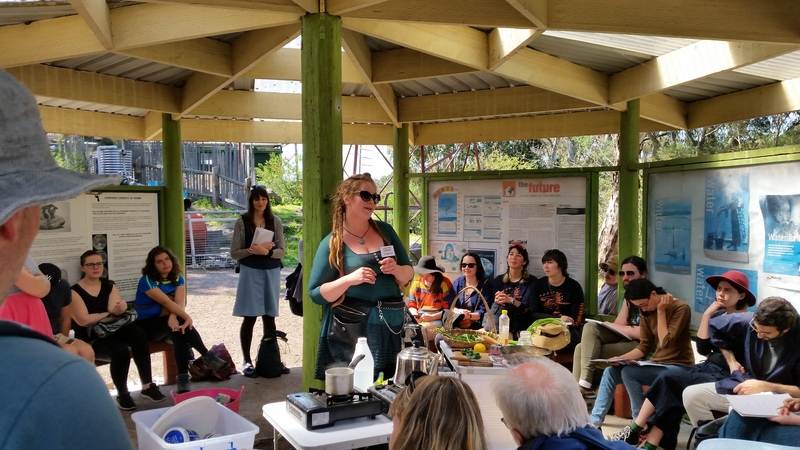 As we tasted and sipped from the day’s offerings, we gave away some copies of the latest issue of Pip Magazine and the Pip 2018 Kitchen Garden Calendar to some of our lucky participants. 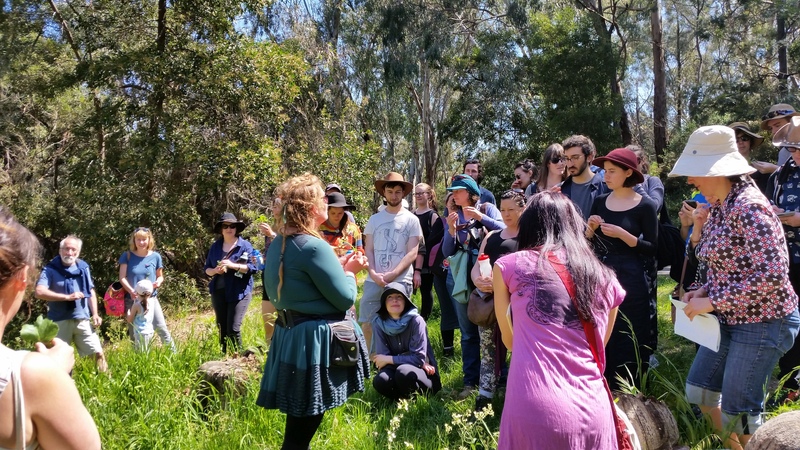 (Thanks Pip!) 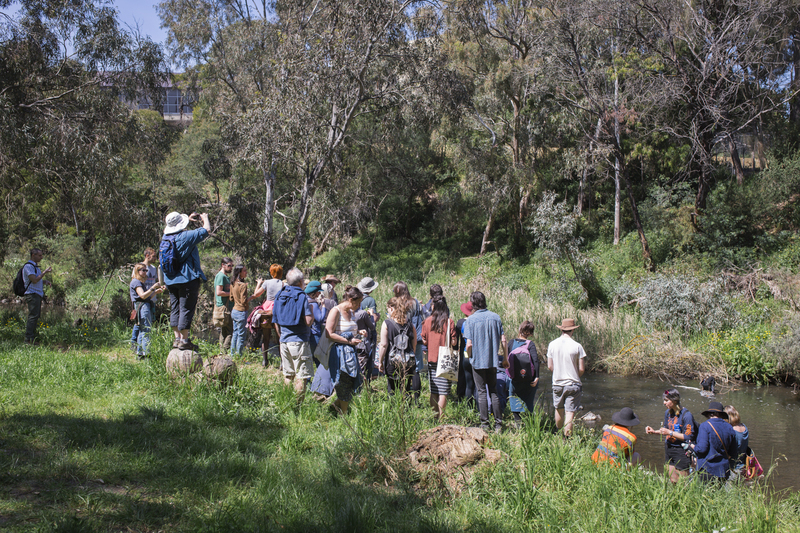 And thanks to Julia Wong, who took the following photo, along with most of the others appearing above!